What does it mean to live in a consumer society and how does this impact on our behaviour? 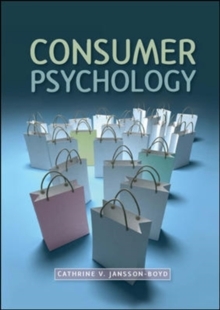 In this insightful and engaging introduction to the psychology of consumption, Cathrine Jansson-Boyd discusses the various ways that consumer activities pervade our everyday lives, whether we are buying the latest trends to keep up with our peers or altering our physical looks so that we can fit the media's beauty mould. Highlighting why the spread of consumption through society is so important, the book looks at the impact on both children and the environment as well as at ethical considerations. 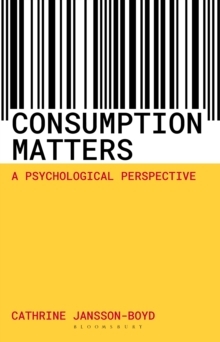 Consumption Matters is the essential starting point for both students and general readers interested in consumer psychology.